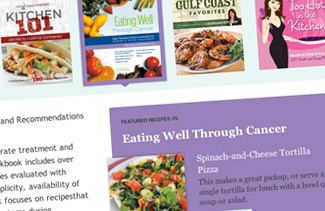 Hover over a book cover on Holly's homepage and you'll see a short description of the book along with two sample dishes and a link to more detail. All color coordinated, simple and beautiful. Holly's book page lets visitors view details of all of her books along with descriptions of contents, the ability to view sample recipes, and ultimately buy at Amazon.com. Holly's recipe pages display beautiful photographs and simple to follow instructions. 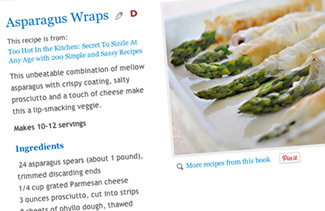 Visitors can print the recipe, view more from the current cookbook, "pin" the photo to Pinterest, and more. 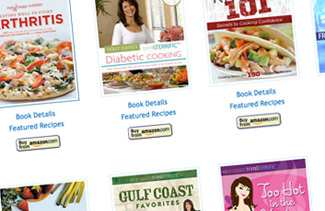 Social media and other tools allow Holly's site visitors to share her recipes via multiple social media networks, print a printer-friendly version and purchase the cookbook that contains the recipe. 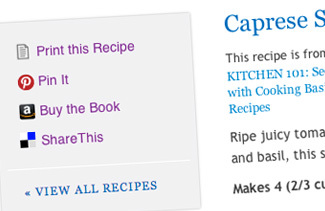 Visitors viewing a recipe can also view other recipes from the same book via a cross-reference link. 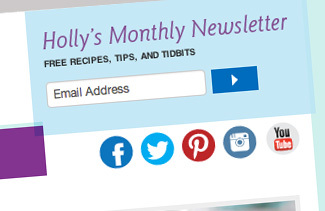 Holly's fans stay up to date by receiving a regular e-newsletter and follow her via all of today's popular social media networks including videos on YouTube. Gotta love it when a satisfied customer of 10+ years asks for their third redesign. 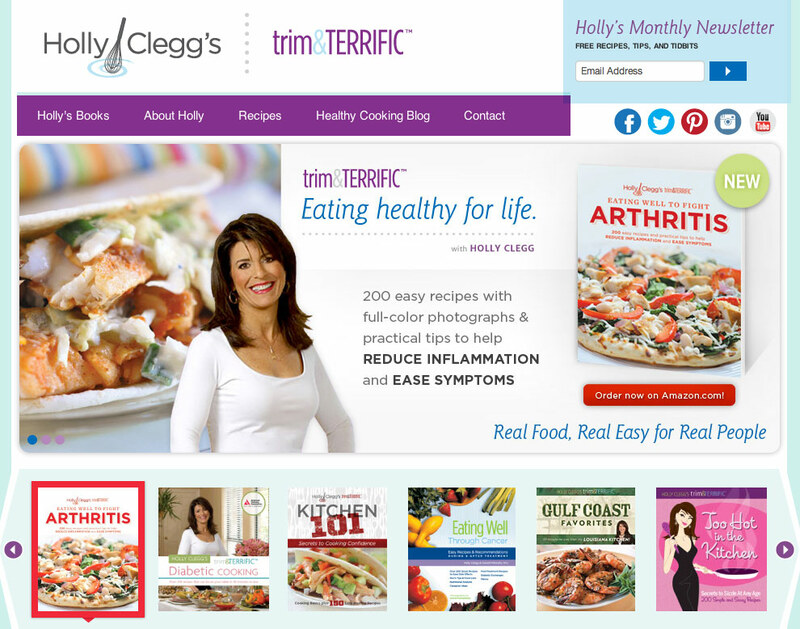 Holly Clegg's new site promotes her hugely popular Trim & Terrific cookbooks and delectable recipes allowing users to search by recipe ype and to browse the details of her amazing cookbooks (available for purchase at Amazon.com). The site uses a custom CMS for management and is hosted on Redstick's servers.